Please join the members of the St Louis Section as we recognize the membership anniversaries of a number of our longtime AIAA colleagues. 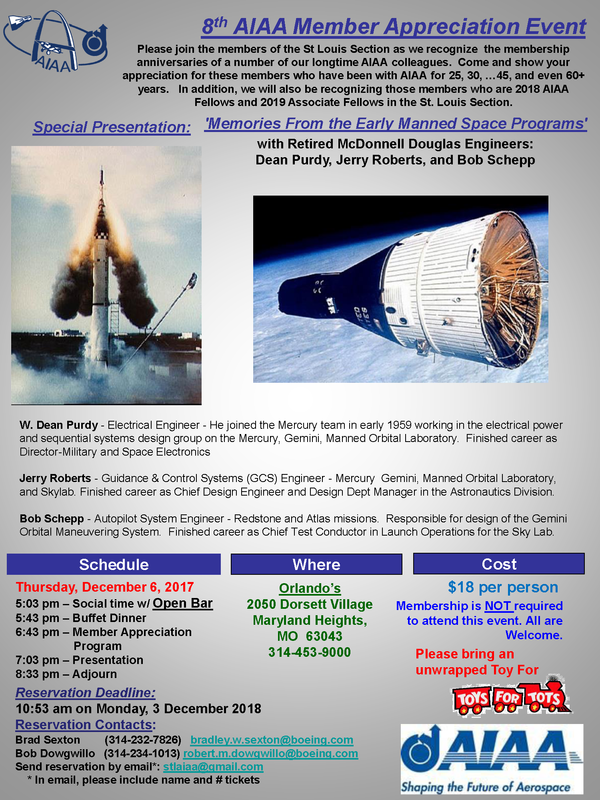 Come and show your appreciation for these members who have been with AIAA for 25, 30, …45, and even 60+ years. In addition, we will also be recognizing those members who are 2018 AIAA Fellows and 2019 Associate Fellows in the St. Louis Section. Dean Purdy -Electrical Engineer-He joined the Mercury team in early 1959 working in the electrical power and sequential systems design group on the Mercury, Gemini, Manned Orbital Laboratory. Finished career as Director-Military and Space Electronics. Jerry Roberts -Guidance & Control Systems (GCS) Engineer -Mercury Gemini, Manned Orbital Laboratory, and Skylab. Finished career as Chief Design Engineer and Design DeptManager in the Astronautics Division. Bob Schepp -Autopilot System Engineer -Redstone and Atlas missions. 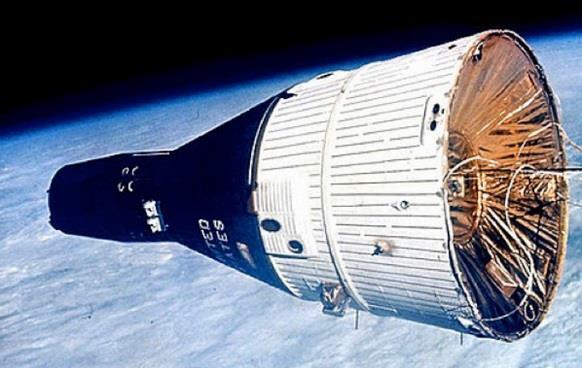 Responsible for design of the Gemini Orbital Maneuvering System. Finished career as Chief Test Conductor in Launch Operations for the Sky Lab.